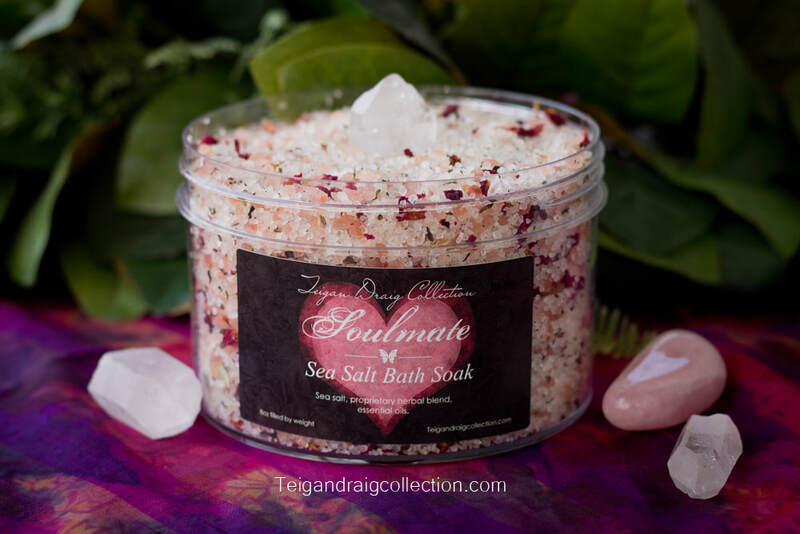 Soulmate Divine is a specialty product from my Soulmate Signature Line. The same heavenly lavender, rose, vanilla scent you know and love, but with a few differences. 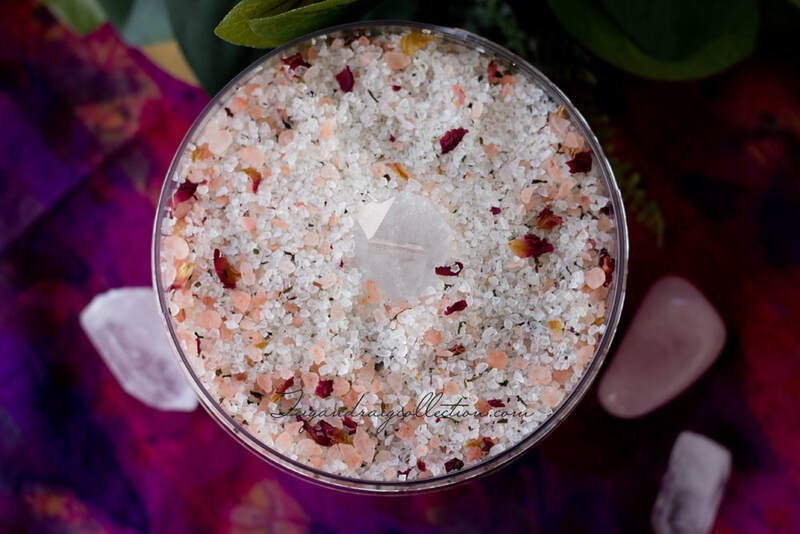 I've added Himalayan salt and a clear quartz point to add an element of protection and intensify the properties of this gentle blend. Quantities of this item are very limited, so be sure to order yours before they are gone! This item is not available through online checkout. Please contact me to purchase. **Note for those with allergies: Soulmate Bath & Body products contain orange essential oil and almond oil (skin emollient). If you have an allergy and need a product without almond oil, please contact me. I would be happy to make a custom order for you and substitute a different emollient at no additional cost to you.